Sent into combat zones 11 times, Brian O’Rourke now will be battling for veterans’ well-being. is a fitting time for Special Operations Chief Brian O’Rourke to retire from the Navy. 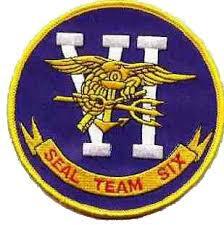 He has been a SEAL for two decades, the last nine years with the elite Naval Special Warfare Development Group—“DevGru,” commonly called SEAL Team Six. It has been a remarkable journey for Mr. O’Rourke, who entered the Naval Academy in 1990, bent on becoming a SEAL. Counselors suggested he switch to a less demanding major than physics, but Mr. O’Rourke has the constructive stubbornness that often defines SEALs. Dismissed at the start of his junior year because his GPA was too low, he enlisted in 1995 and passed that most strenuous of military tests—Basic Underwater Demolition or “Buds.” Only a fraction of applicants are able to complete it. Brian joined SEAL Team Two in 1997, then SEAL Team Four before being sent to DevGru in 2004. After being deployed 11 times to combat zones, often for six months at a time, there came a moment when the loss of comrades and his family’s needs caused Brian to reconsider what he was asking of his wife and children. That moment occurred when Tammy said she worried that their then 2-year-old son might grow up never knowing how much his father loved him. Brian had been hit hard by the death of fellow special operators, including Chief Adam Brown in Afghanistan in March 2010. Brown was a man among men and beloved in the SEAL community. Then in August 2011, most of the men in Brown’s unit were killed when their Chinook helicopter was shot down in Afghanistan. Thirty American Special Operations, Army Reserve and National Guard personnel and a U.S. military dog died in the crash. For the past four years, Brian has been in R&D, testing new weapons and equipment and helping with their timely acquisition. Now he and Tammy have decided that 20 years as a SEAL is a good stopping point. His service came at hidden costs. After 2010, Tammy realized he was having sleep issues and experiencing mood swings. He brushed it off, as SEALs tend to dismiss all hints of weakness. But Tammy persisted and convinced Brian to be examined at the National Intrepid Center of Excellence. Mandated by Congress in 2007, the center studies the effects of combat on the brain and mental health of soldiers, and helps returning warriors identify, manage and treat the aftermath of war. Brian was a “breacher,” a SEAL who blows open doors. MRIs detected lesions on his brain, echoes of the tremendous explosions he set off. The center’s treatment facility in Bethesda, Md., was made possible because of $65 million in private gifts, raised primarily by the Intrepid Fallen Heroes Fund, led by its honorary chairman, Arnold Fisher, and assisted by its chairman, Richard T. Santulli, who launched NetJets. It is hard for warriors to ask for help for invisible wounds. So it was for Brian. But having seen how much better his life is because of the National Intrepid Center, Brian and Tammy want to help other warriors receive this invaluable help.